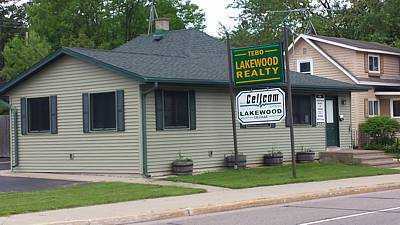 Lakewood Cellular opened its doors in April of 2000. 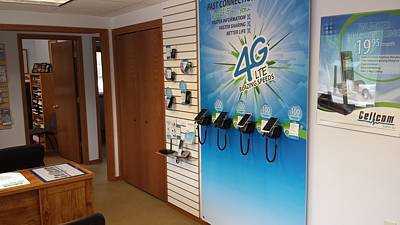 We are the oldest cell phone business in the Northern Oconto County area! As an Authorized Agent for Cellcom, we offer all of Cellcom’s phones and a huge variety of products. From smartphones and basic phones to Mobile Broadband and Home Phone Replacement, we’ll have a solution for you. We also offer Cellcom’s Advance Pay product with no credit checks or contracts. Lakewood Cellular stocks a full line of accessories. At Lakewood Cellular, we focus on customer service and finding the right devices and plan for you and your family. We’ll find a solution that’s truly Built For You. Lakewood Cellular will teach you how to use your new device before you leave the store. And if you have any questions or problems, you can stop in or call and we will be happy to help! Stop in and check out our store, located on State Highway 32 in downtown Lakewood, Wisconsin. Right across from the Laona State Bank and in the same building with Tebo Realty. If you have any Cellcom questions or needs, we are here to help!!! Copyright © 2015-2019, Lakewood Cellular - All rights reserved.